Here we present all the major consumer-oriented processors currently available for notebooks as well as a rough rundown on any notable features of each processor family. The guide is intended to give readers a general understanding of the differences between each processor generation in the most basic sense. An approximate ordering based on performance with average benchmark values can be found in our benchmark list of mobile processors. 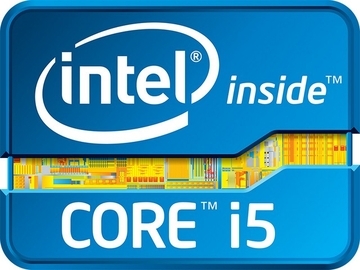 Intel launched its fourth generation of its Core product line with the codename Haswell in June 2013. Similar to its Ivy Bridge predecessors, the CPUs are manufactured in 22 nm with Tri-gate transistors. Although the microarchitecture of Haswell is based on Ivy Bridge, there are a number of important changes for a roughly 10 percent boost in performance per MHz. Besides smaller improvements like revamped jump prediction and faster caches, Intel has also increased the number of execution units (EU) and implemented several new instruction set extensions and features including AVX2, FMA3, and TSX support. The integrated graphics has been especially modified. Depending on the model and class, the GPU in Haswell processors can include 10, 20, or 40 EUs compared to just 6 or or 16 EUs on Ivy Bridge chipsets. The fastest integrated graphics model, the Iris Pro Graphics 5200, features an additional 128 MB eDRAM of fast dedicated memory that can be shared between the CPU and GPU. Because the voltage converter has been integrated into the CPU, the TDP of standard dual- and quad-core models have increased by 2 Watts to 37, 47, or 57 Watts depending on the class of the model. In contrast, the TDP of ULV models have decreased by 2 Watts and is now only 15 Watts including the chipset. 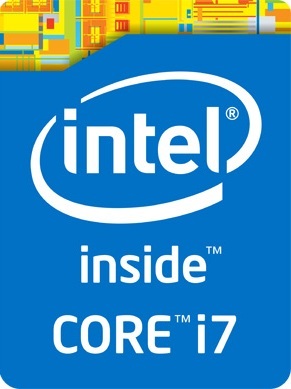 Intel has also added a new class of 28 Watt CPUs designed for larger Ultrabooks. Ivy Bridge builds upon the Sandy Bridge architecture and is considered the “tick” to Intel’s development model. The 22 nm family was announced in 2011, though mobile-class processors did not launch until mid-2012. Naming and model convention follow that of the Sandy Bridge generation, but with the “3” prefix to denote the third generation of Core ix processors (i.e., Core ix-3xxx). The Ivy Bridge architecture includes a number of new features never before implemented in a mass-produced Intel CPU, most notably the Tri-gate “3-D” transistor. This technology increases the surface area of the CPU in key channels by three times, thus providing a greater flow of electrons without necessarily increasing the planar die size. According to Intel’s own press release, the Tri-gate transistors can increase performance by up to 37 percent compared to a similarly-clocked 32 nm Sandy Bridge-based CPU while requiring less than 50 percent of the power. On the graphics side, Ivy Bridge continues the integrated HD Graphics lineup with the Intel HD 4000. The integrated GPU succeeds the previous generation HD 3000 by adding more shader cores (16 vs. 12), more texture pipelines (2 vs. 1) and a wider memory bandwidth (25.6 GB/s vs. 21.3 GB/s). The HD 4000 also supports Shader model 5.0 and is the first Intel GPU to natively support the DirectX 11 API. Sandy Bridge is the successor to the Clarksfield quad-core and Arrandale dual-core processors. The same Core i3/i5/i7 naming scheme continues, but all model numbers are now preceded by a "2" (i.e., Core ix-2xxx) in order to indicate the second generation Core architecture. The most notable improvements are the new 256 Bit AVX instructions, the improved Turbo Boost 2.0 and the integration of the graphics card into the 32 nm CPU core. Information and performance charts on the Sandy Bridge Quad Core processors can be found in this article. The mobile Clarksfield Core i7 CPU stems from the desktop versions of the Core i5 and i7 line of processors, but with slower clock rates in favor of higher maximum Turbo Boost speeds. The Clarksfield CPU are monolithic quad-core CPUs with an integrated DDR3 memory controller and combined L3 cache. ALUs have not changed significantly from the Core 2 architecture, but the monolithic design has allowed for better performance per MHz compared to a similarly clocked Core 2 Quad CPU. The Turbo Boost function allows automatic CPU overclocking of each core within factory TDP limits. The Core i7 can be as fast as a high-end Core 2 Duo CPU in single-threaded programs, but with the added advantage of 4 processing cores instead of 2. More information can be found on our mobile Core i7 (Clarksfield) page. 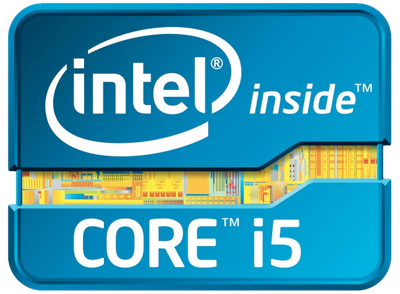 The Arrandale Core i3/i5/i7 dual-core CPUs offer two processing cores and are produced in 32nm. Due to Hyper-Threading and Turbo Boost in the more high-end models, the Arrandale CPUs are faster than a similarly clocked Core 2 Duo. A DDR3 memory controller and the Intel HD Graphics graphics card are integrated with the core. The CPUs offer good power efficiency and can use up their specified TDP because of Turbo Boost. ULV models with the prefixes UM or LM offer weaker performance at the cost of lower power consumption. The Intel Core 2 Duo class of processors is the successor to the Core Duo with longer pipelines, 64 Bit support, a fourth decoder, an amplified SSE-unit and an additional arithmetical logical unit (ALU). Because of these improvements, the Core 2 Duo CPUs should be 5-20% faster than a similarly clocked Core Duo. As the name suggests, the Core 2 Duo lineup consists of CPUs with 2 cores. Depending on the mode, the CPU features 2, 3, 4 or 6 MB Level 2 Cache (2 and 4 for Merom CPUs, 3 and 6 for Penryn). Every model features eX Bit (Execute Disable Bit) technology, SSSE3 (SSE4), and Enhanced Speedstep support. Some models also feature virtualization support (Vanderpool). The mobile Core 2 Duo is identical to the desktop Core 2 Duo processors, but with reduced core voltage (e.g., 0.95 V vs. 1.188 V) and slower FSB to save power. Laptop Core 2 Duo models are slower as a result. The Core 2 Duo lineup was presented in July 2006 with the Merom core and was produced in 65nm for the Socket P and Socket M. In Summer 2007, the Santa Rosa update had been published with minimal improvements, such as the faster 800 MHz FSB and Dynamic Acceleration for overclocking a single core. In 2008, Penryn and the Penryn refresh cores were introduced in 45nm. The architecture was slightly modified, which led to lower power consumption and slightly improved performance. For example, Penryn received a faster division unit and 47 new SSE4 orders. 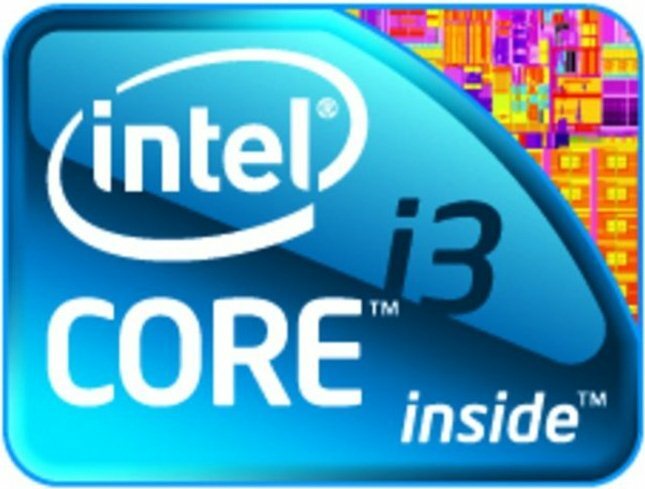 A detailled list of Core 2 Duo processors and more in-depth information can be found in the Intel Core 2 Duo Notebook Processor article. 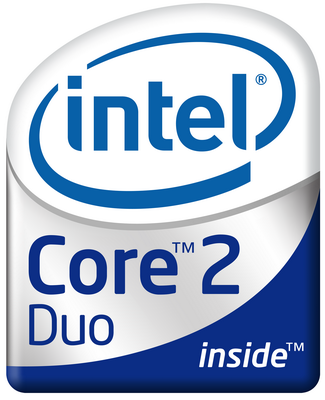 The fastest Core 2 Duo variants are called Core 2 Extreme. Technically, these processors are based on a Merom/Penryn (X9000) core like all other Core 2 Duo processors, but with higher TDP (of 44W) and adjustable multiplier for easy overclocking. All models and more in-depth information can be found on the Core 2 Extreme model page. The Core 2 Solo is the successor of the Core Solo and is essentially a Core 2 Duo with only one core. The CPU was first available starting Q3 2007 with only ULV offerings. CULV models with low clock rates did not hit the market until 2009 for small laptops and netbooks. General performance from these single core CPUs lies between the entry-level Pentium Dual-Core and Intel Atom CPUs. The Intel Pentium Dual-Core Series is placed above the Core 2 Duo family and consists of dual-core CPUs with lower clock rates and less Level 2 Cache (1MB) than the Core 2 Duo CPUs. As a result, general performance is worse than a similarly clocked Core 2 Duo and on par with the AMD Turion X2 line. For more information, please look at our Pentium Dual-Core CPU page with additional specifications and benchmarks. 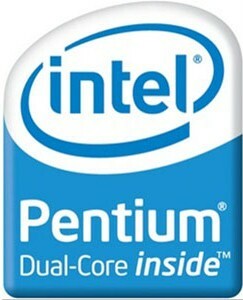 The Intel Core Duo (Yonah core) is the successor to the Pentium M CPU. It features two processor cores based on the Pentium M architecture with 2x 1024 MB L2 Cache. The maximum TDP of 31 W is only 4 W higher than the TDP of single core Pentium M. Thanks to Speedstep, each core can automatically and independently underclock in steps down to 1 GHz. In addition, the Core Duo now supports SSE3 instructions. The performance of the Core Duo CPU is at least as fast as an equivalently clocked Pentium M. When using applications that can profit from both cores, the performance can be up to 90% faster according to CineBench tests. The Core Solo is the single-core version of the Core Duo and the successor to the Intel Pentium M. The series is manufactured in a 65 nm process and thus consumes less power than a typical 27 Watt Pentium M. Overall performance is similar to an equivalently clocked Pentium M, if not slightly faster due to slight architectural improvements. The Pentium M shares architectural similarities with the Core series, but features only a single core more akin to the Pentium 3 than to the Pentium 4. Compared to the Pentium 4 M, the Pentium M provides better performance per MHz while having only modest power consumption. The main weakness of the Pentium M series was its slow floating point calculations. An older Celeron M CPU performs similarly to a Pentium M.
When utilized in conjunction with Intel chipsets (855 or 915) and Intel WLAN, the Pentium M is branded under the Centrino name. A Pentium M CPU can operate anywhere from 900 MHz up to 2260 MHz (depending on the model) with 1 to 2 MB L2 cache and 400 or 533 MHz FSB. Early models were manufactured in a 130 nm process, but later units were produced in a 90 nm process. Low voltage variants of the Pentium M are also available with even lower power consumption. The Intel Celeron Dual-Core familiy consists of dual-core CPUs designed for budget notebooks. Compared to the single-core Celeron M series, the dual-core series uses Enhanced SpeedStep for better power-saving features. Still, the series features less L2 cache than Core 2 Duo and Pentium Dual-Core models, ultimately leading to lower performance per clock. Current dual-core Celeron processors have native support for Execution Disable Bit functionality and 64-bit operating systems. Power consumption was further improved in newer models by moving to a 45 nm fabrication process. The Celeron M series is largely based on the Pentium M / Core Solo series but with reduced L2 cache (512 KB up to 1 MB), slower clock speeds (800 MHz up to 1500 MHz), slower FSB and no SpeedStep boosting. Additional features, such as ViiV and vPro support, have been omitted, which further contrasts with the Core 2 Solo series. The resulting performance levels and battery runtimes are a bit less compared to a similarly-clocked Core Solo. The Celeron M 4xx series is based on the Core Solo with a Front Side Bus of 533 MHz and only 1 MB of L2 Cache instead of 2 MB. Like the 3xx series before it, the 4xx lineup is adequate for general office applications. The newer 9xx series is based on the Core 2 Solo architecture (Penryn) and is therefore slightly faster than the Merom-based Celeron M.
The Celeron M is also available in Low Voltage models with very low power consumption. The Intel Atom series is a 64-Bit processor for inexpensive and small notebooks, netbooks, nettops, MIDs, and UMPCs. The most noteworthy feature of its architecture is the in-order execution feature (as opposed to the faster and more common out-of-order execution), which allows for both much lower transistor counts and production costs. The Atom series launched with two families: The Atom Z series (codenamed Silverthorne) for MIDs and UMPCs and the Atom N series (codenamed Diamondville) for more traditional netbooks and nettops. Both families were produced in a 45 nm process and feature the usual MMX, SSE, SSE2, SSE3, SSSE3, Intel 64, XD-Bit and IVT support. Certain models also feature Hyper-Threading. General performance of the fastest Atom CPU is superior to that of the Celeron series. For example, a 1.6 GHz Atom is comparable in terms of performance to a 1.2 GHz Pentium 3 M and Pentium M.
Near the end of 2009, Intel introduced the second-generation Pineview Atom, complete with GMA 3150 graphics and a DDR2 memory controller. The 45 nm Atom N450 and N470 are among the more popular Pineview CPUs and offer similar performances as the older N280. Eventually, later models added native DDR3 memory support (e.g., the N455) and dual-core variants. The Atom Oak Trail platform was introduced in 2011 as is the direct successor to the Silverthorne architecture. The new platform was designed for tablets and netbooks and is branded as the Z600 series. While the CPU core is largely similar to the Pineview series, the SoC now integrates a GMA 600 GPU from PowerVR. The Mobile A100 and A110 processors (codename Stealey) are ULV processors developed for UMPCs (Ultra Mobile PCs). The A-series is the predecessor to the Atom series and are based on the Dothan architecture of the Celeron M series. The CPUs are fabricated in 90nm and have an L2 cache of 512 KB with a maximum current consumption is just 3 Watts. The processors are combined with a 945GU chipset (ULV version of the 945GM) and an integrated GMA 950 graphics core. The Frontside bus is 400 MHz. The A100 and A110 are clocked at 600 MHz and 800 MHz, respectively, but each have a 400 MHz FSB. As expected, the A-series CPUs have low processing performance. MPEG-4 playback, for example, is enough to significantly load the processor. The Mobile Intel Pentium 4 M for DTRs (desktop replacement laptops) is a special version of the Pentium 4 M and is essentially a Pentium 4 CPU but with power consumption optimizations and Enhanced SpeedStep. Despite the improvements in power efficiency, the Mobile Pentium 4 M requires more power than Pentium 4 M models. It was introduced alongside the FSB533-connection and was available with clock frequencies ranging from 2.4 GHz up to 3.06 GHz. In comparison, the fastest Pentium 4-M models were only as fast as 2.2 GHz Celeron M.
Other specifications include L2 cache sizes from 512 KB up to 1 MB and a 90 to 130 nm lithography. Mobile Pentium 4 M CPUs have been known to heat up considerably quicker per MHz compared to other processors like the Pentium M.
Essentially a Pentium 4 M without speed steps, the Mobile Celeron 4 M includes smaller L2 cache levels and is comparatively slower. The CPU also runs quite warm and has high thirst for power, thus making the Celeron 4 M less than ideal for laptops compared to the competition at the time. The introduction of the Richland generation in March 2013 marks the replacement of the Trinity APU series. In comparison to the evolution of its predecessor, the new architecture has been a smoother transition with regards to its design. The most important difference is the redesigned micro controller for Turbo control, which should balance the TDP between the CPU and GPU more optimally for improved performance and energy efficiency. The general design of the CPU cores (code named "Piledriver") remains unchanged from the Trinity generation. It continues to feature a maximum of two modules, though each module still consists of two integer cores and only one FPU. As a result, a single CPU with two modules is not a "true" quad-core in the traditional sense. Thanks to its advanced 32 nm lithography, AMD has marginally increased the clock rate, but performance per MHz remains unchanged. Likewise, the graphics unit remains largely the same as the clock rate of the 384 shader units based on the VLIW4 architecture was only marginally increased. Turbo, however, should be more efficient. The integrated DDR3-1866 memory - first supported by the top model A10-5750M - promises further performance gains, though lesser APU models are still equipped with slower DDR3-1600 memory. As of this writing, AMD offers four different Richland models: two quad-cores (A10 and A8 APUs) and two dual-cores (A6 and A4 APUs). All APUs have a TDP of 35 Watts regardless of the number of cores. It is expected that ULV models with significantly lower power consumption will be made available on a later date. Please refer to our article Richland Processors of the AMD A Series for more detailed information. 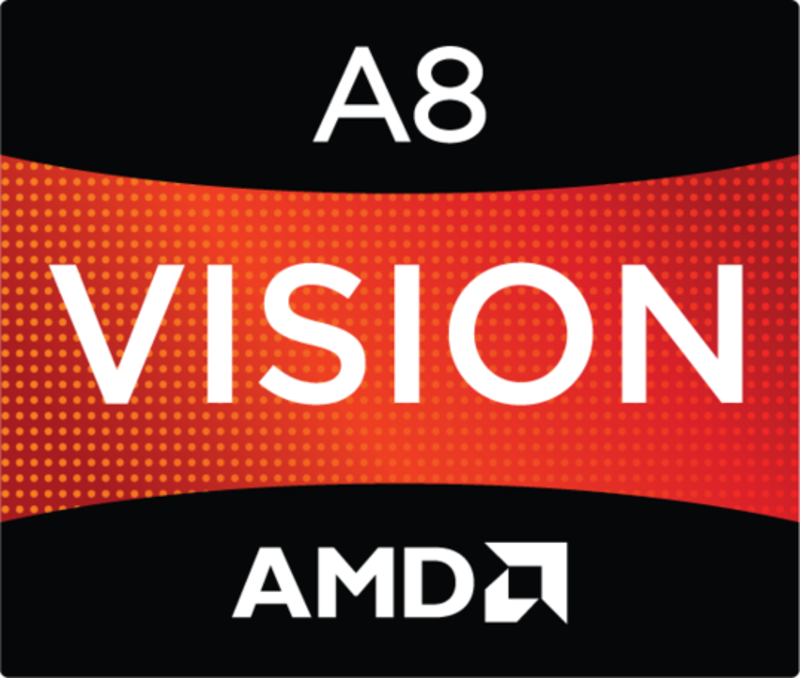 The Trinity lineup, as part of the Piledriver platform, continues the AMD Fusion series by improving upon the concept of combining an all-purpose CPU with a Radeon GPU as part of an Accelerated processing unit (APU). Mobile Trinity APUs were released in Q2 2012 and can be identified by the “4” prefix in the processor name (e.g., Ax-4xxxM) as opposed to the “3” prefix in the Mobile Llano APUs (e.g., Ax-3xxxM). Whereas the Llano series shares architectural similarities with the Phenom and Turion series, the 32 nm Trinity series draws most of its lithographic design from the recent Bulldozer architecture. This entails a shift away from traditional processing cores and into processing modules with Cluster-based Multithreading (CMT). Other features include IPC boost, Turbo Core 3.0 and integrated support for Advanced Encryption Standard (AES), Advanced Vector eXtensions (AVX) and the FMA 3 instruction set. L3 cache is completely omitted, similar to the Llano series. General CPU performance is on par with a standard-voltage Sandy Bridge Core i3 mobile processor or Core i5-2410M at best. The integrated graphics core has its roots to the Radeon HD 6900 “Northern Islands” series with restructured and - in some cases - fewer ALUs compared to the Llano series. However, the faster clock speeds and architectural advantages over the Radeon HD 5000-based Llano graphics give Trinity graphics the overall advantage. The new engine supports DirectX 11, Dual Graphics and, for the first time in a mobile APU, Eyefinity. General GPU performance is at best on par with the GT 630M/635M or Radeon HD 6750M/7670M, though this heavily depends on the memory interface. Codenamed "Llano", these AMD CPUs were introduced in early 2011 and succeeds the Bobcat E-Series as the second line of APUs. The chips continue to integrate Radeon GPUs into the architecture and are among the first AMD processors to be produced at 32 nm. The CPU cores are based on slightly reworked K10.5 cores similar to the ones found in the mobile Phenom II series of processors. However, the performance per clock has been improved by about 5%. Up to four processing cores are able to use up to 4MB L2 cache. AES-NI, AVX and L3 cache are not supported. The integrated graphics core is compatible with DirectX 11 and offers up to 400 Shader ALUs (160 in the least expensive models) and was the fastest integrated mobile GPU at the time of introduction. The high-end A8 models stands toe-to-toe with certain slow to mid-range mobile dGPUs and are noticeably faster than Intel Sandy Bridge graphics. The Llano APUs were introduced in four classes. E2 and A4 models are dual-core processors with stripped down graphics, while the A6 and A8 models feature all four cores. All models make use of an integrated DDR3(L) memory controller. The TDP of the rather large chips range from 35 to 45 Watt and are therefore not suited for smaller laptops. "Bobcat" is the codename of the Zacate (E-Series) and Ontario (C-Series) APUs (Accelerated Processing Unit) for small laptops, netbooks and tablets. Compared to the competing Intel Atom processors, the Bobcat CPUs offer out-of-order execution and much faster graphics cards (Radeon HD 62xx like 6250 or 63xx) depending on the model. Overall CPU performance is a bit better per clock than the Intel counterpart, but only minimally. Another advantage of the AMD APUs is the integrated UVD3 decoding unit that enables the decoding of HD videos without much computational effort from the CPU. Example APUs: AMD C-60, AMD E-350. 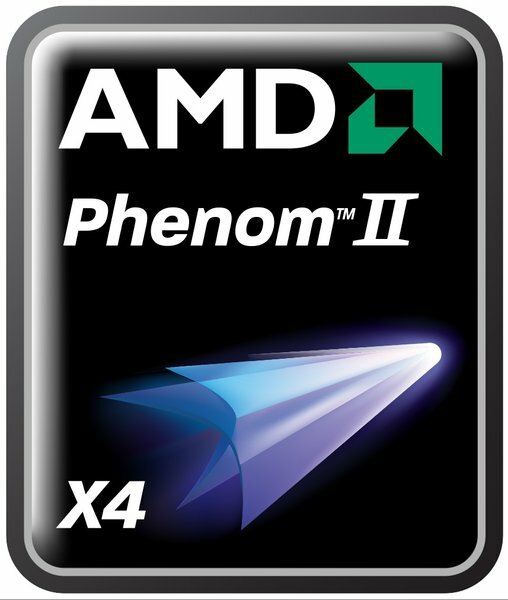 The Phenom II is the fastest mobile AMD CPU still based on the K10 architecture. The mobile models share many similarities to the desktop Athlon II X2, X3 and X4 processors, including the lack of L3 cache in most cases. Nonetheless, the Phenom II integrates a DDR3 memory controller and is overall comparable to a similarly-clocked Intel Core 2 Duo. Codenamed "Caspian", The dual-core Turion 64 CPUs are produced in 45nm and should be based largely on the K10 core with performance levels superior to that of a similarly-clocked Turion X2. Still, these AMD cores are positioned at the entry level as they are on par with slower-clocked dual-core Pentium CPUs. The Caspian core offers an integrated DDR2 memory controller. Later Turion 64 models, codenamed "Champlain", offered DDR3 memory controllers and were released with the Phenom II mobile CPUs. Example model: Athlon II P340. The Turion X2 Ultra was introduced in Q2 2008 and is based on the old K9 Turion 64 X2 architecture with certain K10 Phenom features like Crossbar Switch and Hypertransport 3.0. Compared to the previous generation, the Ultra models have reduced power consumption and are equipped with larger L2 cache sizes. As a result, performance should be slightly better than a similarly clocked Turion 64 X2. Still, overall performance is not comparable to a similarly clocked Core 2 Duo (which can feature even larger L2 cache sizes at up to 6 MB) and is only on par with dual-core Pentium models. More information on the Turion X2 Ultra can be found in the Turion X2 Ultra series page. The Turion 64 X2 is a 64-bit dual-core processor with an integrated DDR2-667 memory controller. Models with 2x256 kB L2 cache and 2x512 kB L2 cache were given the codes names Taylor and Trinidad, respectively. The CPU was first fabricated at a 90 nm process under a 31-35 Watt TDP depending on the model. Every member features Pacifica (AMD-v) virtualization and Hypertransport (HT) support at 800 MHz. The AMD Turion 64 X2 was introduced in May 2006 as the direct competitor to the Intel Core Duo family. The power consumption is generally a bit higher compared to the Core Duo processors, but still lower than those of the Centrino Duo series. However, the performance of the AMD CPU is somewhat inferior to a Core Duo counterpart due to smaller L2 cache sizes. For example, the AMD TL-45 is about 20% slower than the Intel T2300 (1.66 GHz) as the latter features as much 2048 kB of shared L2 cache. In March 2007, as a response to the then-new Intel "Santa Rosa" Core 2 Duo family, AMD moved its Turion 64 X2 production from a 90 nm production process to a smaller 65 nm process for larger yields and improved energy efficiency. Certain models were also bumped up to 2.4 GHz in order to stay competitive against Intel. More details, lists, and benchmarks can be found on our dedicated Turion 64 X2 series page. The Turion 64 is a derivative of the Athlon 64 with SSE3 and NX storage protection. It supports both 64- and 32-bit modes and features an integrated PC3200 memory controller. The ML versions have a TDP of 35 Watt and the MB versions 25 Watt. Performance and power consumption are roughly similar to a similarly clocked Pentium M.
With the exception of rare cases where desktop Athlon 64 X2 processors were inserted into DTR laptops, AMD introduced in summer 2007 its Athlon 64 X2 Dual-Core series of CPUs made specifically for notebooks. The core architecture is based on the Turion 64 X2 (Hawk-25 core) with an integrated DDR2 memory controller and was designed for the socket S1 type. The processors offer 2 cores with 128 kB and 256 kB L1 and L2 cache, respectively. The mobile laptop series supports MMX, extended 3DNow!, SSE, SSE2, SSE3, AMD64, PowerNow!, NX-Bit and AMD-V. The FSB operates at 800 MHz (HyperTransport HT1600). The Mobile Athlon 64 is based on the desktop Athlon 64 family of processors. The Rating range (2700+ up to 4000+) is comparable to the clock rates of the Pentium 4-M series. The top Mobile Athlon 64 models are DTR (Desktop replacement) versions for large laptops. The old Sempron CPUs (2800+ to 3000+) are based on the mobile Athlon 64 but with reduced level 2 Cache. As a result, a 3000+ Athlon 64 is faster than a 3000+ Sempron. As with the XP-M, there continues to be is no 64-bit support. Later models of the Sempron series are based on the Turion 64 architecture (and X2 versions with disabled second cores) and were made to compete with the Intel Celeron M lineup. Certain models even support 64-bit instruction sets. Mobile version of the desktop Athlon XP with clock frequencies comparable to an Intel Pentium 4. 64-bit compatibility is non-existent with the XP-M and performance is noticeably slower than a similarly clocked Athlon 64. The successor of the Crusoe processor. Includes general speed improvements whilst maintaining very low power consumption. Comparably clocked Intel and AMD processors, however, still offer faster performance. Although not as fast or comparable to Intel and AMD processors, the Transmeta Crusoe family is quite power-efficient. The CPUs do not implement the x86 instruction set in hardware, but run a software abstraction layer known as Code Morphing Software (CMS). General performance was not very good and is comparable to a similarly clocked VIA C7-M CPU. 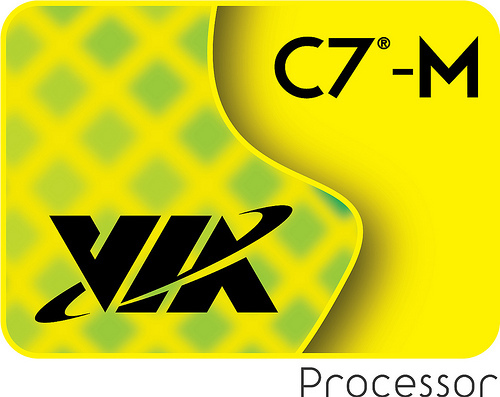 The C7 was launched in May 2005 and is nearly identical to the late C3 cores, but differs extensively from early C3 cores. General performance, however, is still much slower than similarly clocked Pentium M CPUs and even older Intel Atom CPUs. The VIA C3-M is a mobile x86 CPU with both low power consumption and low performance (noticeably lower than that of a similarly clocked Pentium M). For example, a Pentium M at 600 MHz is generally faster than a 1200 MHz C3-M. Later models of the C3 family were improved and made more similar to the C7 family. See here for the official VIA overview of the processor family.